So all big MMA and UFC fans around the world like me need to keep track on the List of UFC events – then if you are feeling game for an in the flesh experience, then you might want to know how much are UFC tickets and where can you get them. Well don’t worry because within the events section you can get yourself tickets to a variety of upcoming UFC and MMA events globally – in today’s post we look at an upcoming UFC event at the start of August. Nothing like watching some quality events in the heat of summer, so today we are reviewing and giving you all the ticket information for the upcoming UFC 227: Dillashaw vs Garbrandt II event on August 4th, in the Staples Center in Los Angeles, California. The first fight between the two men went down at UFC 217 and was a great fight, one in which Dillashaw came out on top via TKO in the second round to become the two time UFC Bantamweight champion. But Cody Garbrandt is a man with a steely will and anyone who counts him out in this rematch would be foolish to do so, because the mans power in his hands can change a fight in one punch – but Dillashaw is one of the most skilled all round fighters in all of MMA currently and so this is set to be one hell of a rematch! So within this post we will give you a analytical breakdown of all the main card fights and get you all the ticket information you need. T.J. Dillashaw vs Cody “No Love” Garbrandt – This will be an absolutely phenomenal rematch, because the first was one that was full of trash talk and emotions leading up to the fight, and one which resulted in a brilliant fight. On paper they match up well, Garbrandt having phenomenal boxing and power in his hands with solid take down defence and unrivalled aggression, while Dillashaw has great footwork, unique movement, excellent variety of striking, excellent wrestling, serviceable submissions skill and phenomenal fight IQ. It is the fight IQ that I think pips it for Dillashaw again, so stylistically I would say we could see a repeat of the first fight – so if Garbrandt can’t get an early KO, then I fully expect Dillashaw to slowly overwhelm Garbrandt with his unique and varied attacking skill sets. Also I feel that Dillashaw has a better chin then Garbrandt, so I expect Dillashaw to get the job done again retaining his UFC championship, but its really tough to call again. Demetrious “Mighty Mouse” Johnson vs Henry “The Messenger” Cejudo – In the co-main event we have another worthy rematch, not because the first bout was competitive, because it really wasn’t, as it resulted in Demetrious Johnson winning with relative ease in the first round by TKO. This time however, Cejudo has the experience of being in their with the incredibly dominant champion before and I will definitely be expecting to see a better performance from Cejudo this time round. He is on a 2 fight winning streak and unquestionably has the best Wrestling in the division. Cejudo is really scrappy too with a solid boxing game, but Demetrious is something else, he is definitely one of the greatest fighters to ever grace the octagon – I foresee Mighty Mouse once again defending his fly weight title. again breaking records in a tough five round fight. Alexander “The Mauler” Gustafsson vs “No Time” Volkan Oezdemir – This is a great fight, I’m really looking forward to this one because I think it potentially has fight of the night written all over it. I expect a back and forth war on the feet and I do not expect either man to go for a take down at any point. I believe that sharpness will play a factor here though, as Ozedemir has been far more active over recent years then Gustafsson, and Oezdemir has power that no pun intended you cannot afford to sleep on. But Gustafsson is so smooth and moves so well on the feet for a big man, so I really can see either fighter walking away victorious, although in my eyes I anticipate Oezdemir to win a close fight which could end in a stoppage in the early rounds, or be a 3 round pillar to post war, the sort of fight that will probably deserve 5 rounds in all honesty. Derek Brunson vs. Antonio Carlos Junior – This should be a middleweight war, both men being phenomenal athletic talents. I expect Brunson to have the advantage on the feet as he is known for having some seriously explosive power in his hands. But in close quarters there is no doubt that Junior will have the superior grappling. However I think that Brunson can probably keep the fight on the feet with his excellent wrestling and take down defence, then I expect he will get the KO at some point, unless he makes the occasional poor decision which he is known for in the heat of a fight, in which case Junior will choke Brunson out. Cub Swanson vs. Renato Moicano – This fight has to be mentioned as well, because its another that could steal the show for fight of the night. Just like the Oezdemir vs Gustafsson bout, I really do not expect either fighter to go for the take down here as both men much prefer engaging in stand up fight. But as good as Swanson is, I feel that his career trajectory at this point is different to Moicano’s, who is such an intelligent and effective striker, so I am picking Moicano to win in a dog fight. Also on the under card we will have Pedro Munhoz vs. Brett Johns and more fights yet to be announced! So for all UFC fight cards, the ticket prices vary a lot depending on the kind of ticket you want, so how close do you want to be to the cage? 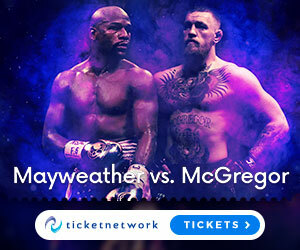 But ticket costs are also defined by how much the UFC is paying to run an event in a specific arena, which varies in a lot of different cities/states/countries etc – then not to forget that the more star name fighters that are fighting at the event, then again that adds a premium to the ticket prices. At this specific UFC 227: Dillashaw vs Garbrandt fight card, prices currently are ranging between $99 – 5,405 offering you a great variety of seating and ticket options. If your ready to start scouting the seating plans for this event then you can do that, right here on one of the top ticket booking sites. California, Los Angeles the city of angels, such a buzzing part of America and the weathe rshould be really beaming too! So what better way to have a blast in Cali then to jump in the car or on a plane and get yourself to this historic UFC 227 event, because I don’t know about you but I really don’t want to miss this rematch betwene Dillashaw and Garbrandt! Ok maybe some would say its lacking a little star name fighters, but for me in terms of competitive and storied matches, I think this could be flying under the radar to be one of the best fight cards of the year so far! Don’t forget to stay on top of the latest List of UFC Events – by now you must be ready to book yourself tickets for this solid UFC 227 fight card, so you can do that right HERE. Hope you enjoyed todays post and as always stay tuned for more from the world of MMA at the best home of MMA online the MMAGateway. See you soon and stay frosty!